Cashew & Badam balls are liked by kids more. Very healthy snack for all ages too. Put the flame off and add the nuts to it. Add 2 spoons ghee and make balls immediately or it will get harder. 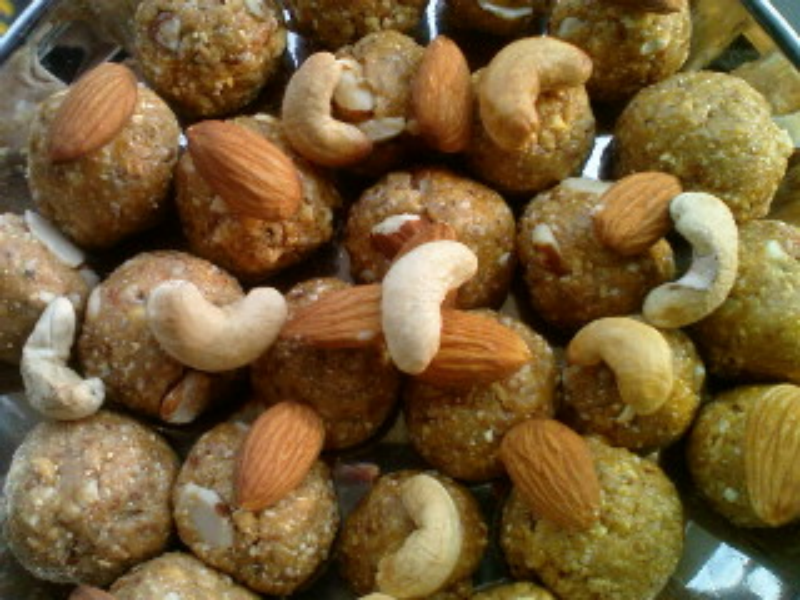 Cashew & Badam balls are ready. Store & relish.